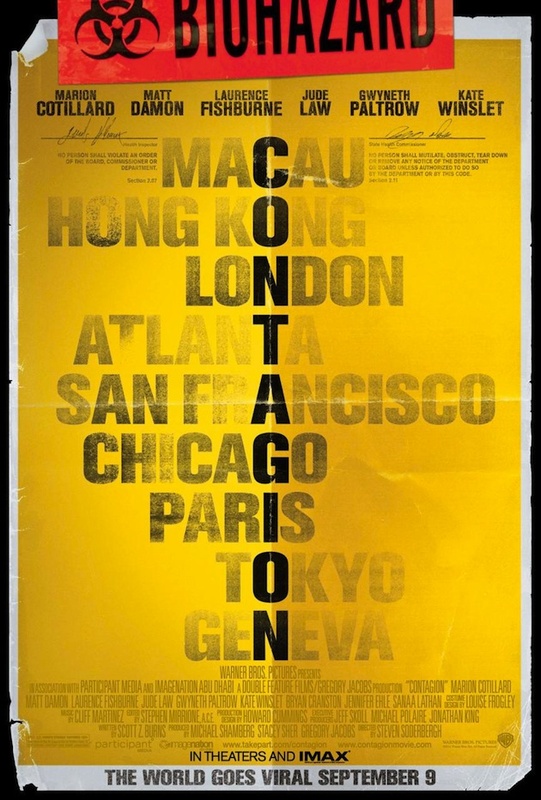 Borrowing a page from the Irwin Allen disaster movies of the Seventies, Contagion might not be the film you are expecting based on the advertising (big surprise). The film’s premise is often far scarier than it’s execution, which is the result of a large ensemble cast with separate storylines that share little in common except the pandemic itself. And unfortunately, many of them are dropped, forgotten about or amount to nothing. Fishburne anchors much of the action as the director of the CDC and the film covers approximately a six month time frame as we witness both the spread and the panic that the virus ensues. The film ends with the revelation of the mysterious origin of the virus, which is the true horror, as it reveals society’s vulnerability. Contagion is a solid thriller, but lacks the urgency or intensity that one would hope would exist in a situation or in a film of this subject matter. It’s hard to classify it as entertaining, but it is worthwhile and will keep your eyes glued to the screens and your fingers pried to the armrests. Just don’t forget the hand sanitizer.